See the world through rose-colored glasses with R52023 Masquerade Glasses! Learning Objectives: Develop fine motor skills with tracing and cutting out mylar “lenses.” Use the Masquerade Glasses for dramatic play activities and for encouraging shy students to coax out their inner actor! 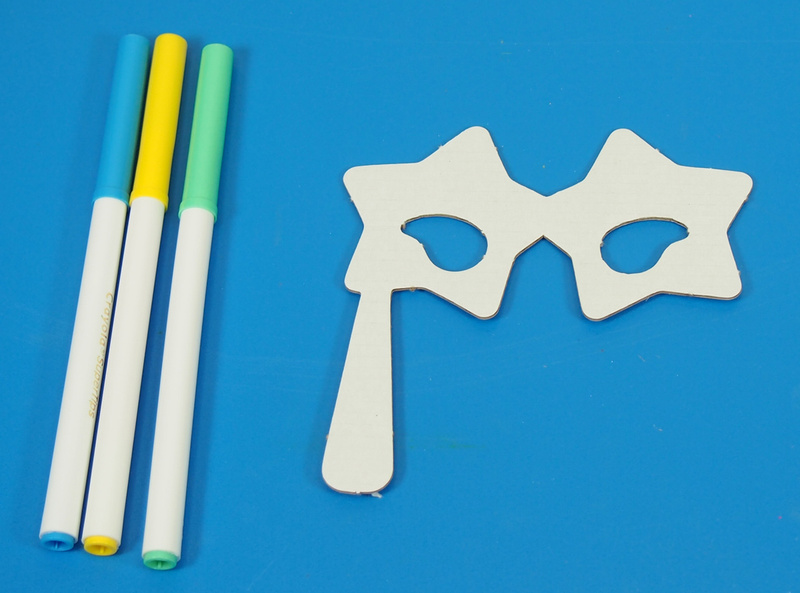 The Masquerade Glasses are perfect for encouraging students to participate in dramatic play. Pick a few coordinating marker colors. 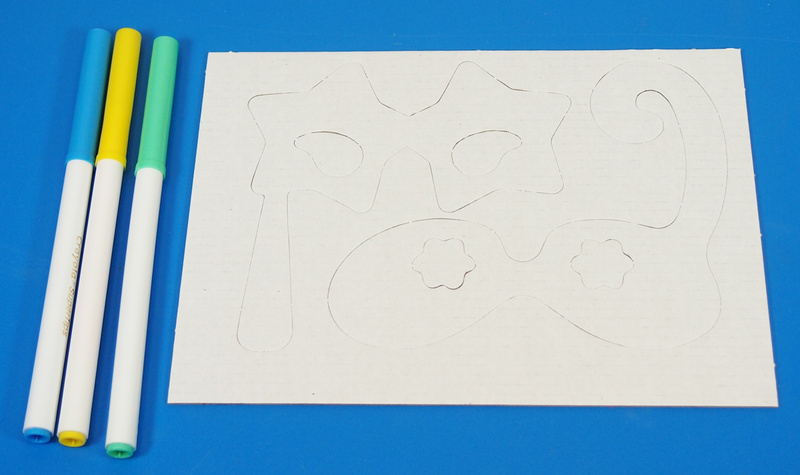 If students need to work out their design for their Masquerade Glasses, give them scrap paper to doodle on. You can find the plastic sheet “lenses” at your local office depot store as transparency sheets that you would use for light projectors. The Masquerade Glasses need to be popped out from the card backing. 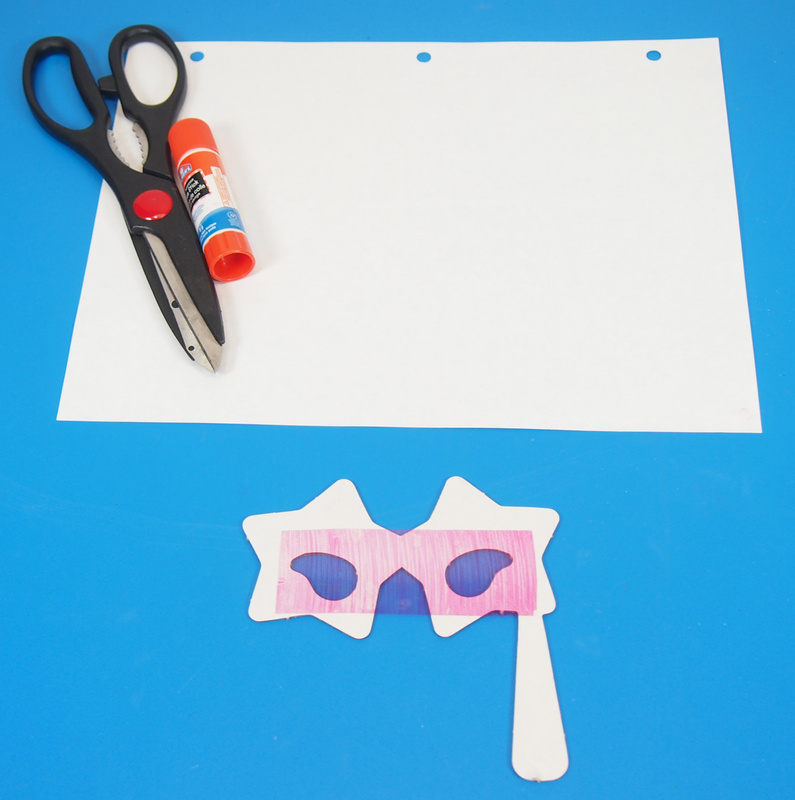 You can use the insides of the eyes as embellishments for the Masquerade Glasses. 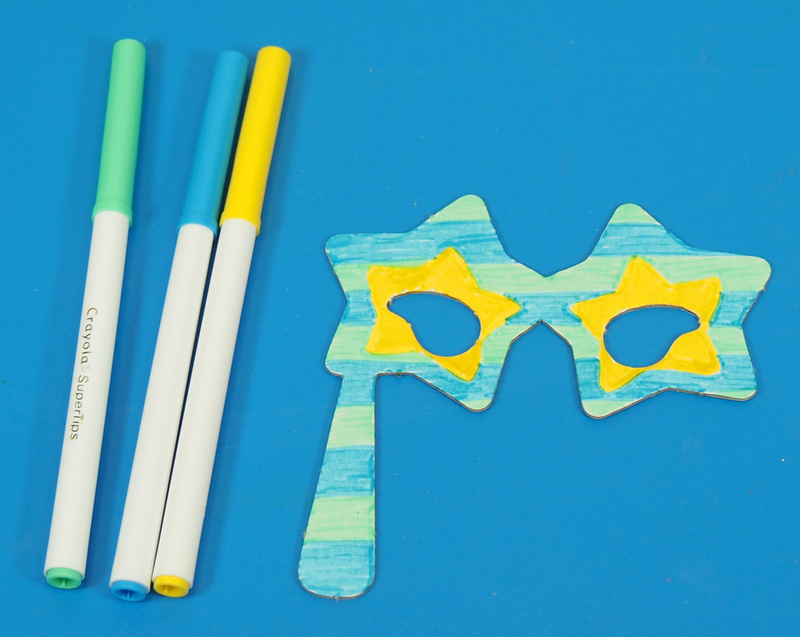 Color in your Masquerade Glasses with the markers. Next, you will need a transparency sheet. 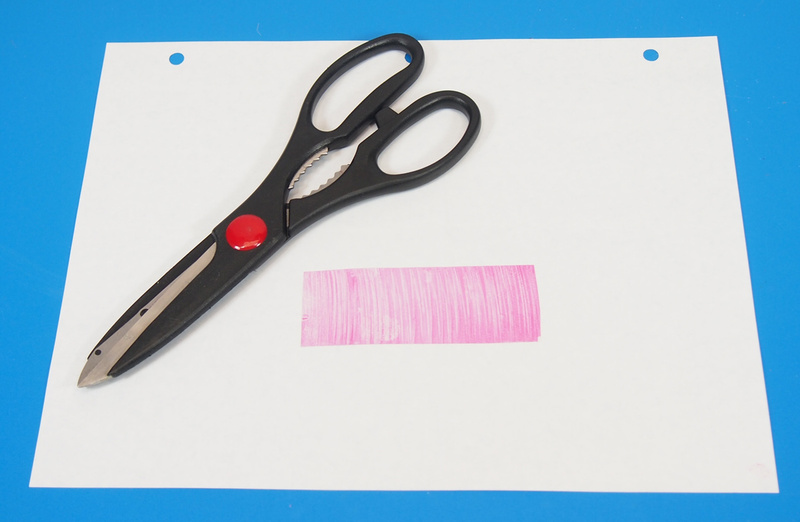 Test out several of your pink markers to see which will produce the best “pink lenses” effect. Simply rub the marker tip tightly across the transparency sheet. Lift the sheet up to your eyes and look through them to see if the lenses are clear enough to use. 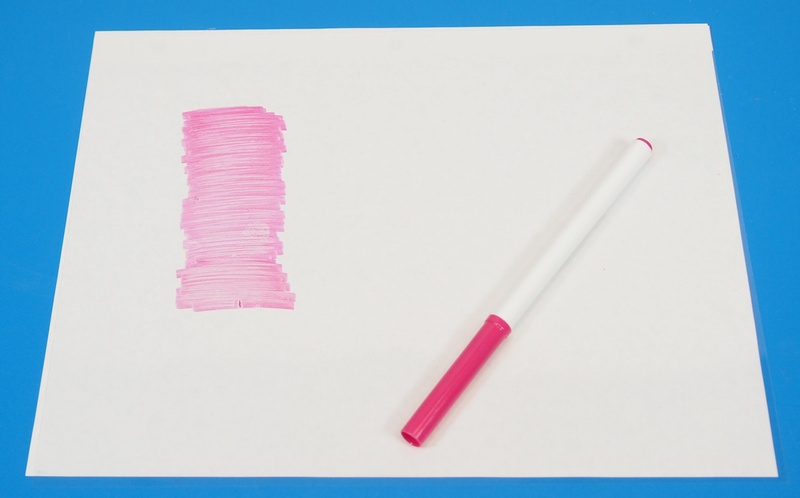 Use a lighter color if your chosen marker color blends too much and is too opaque. Cut out a strip of the colored transparency sheet. 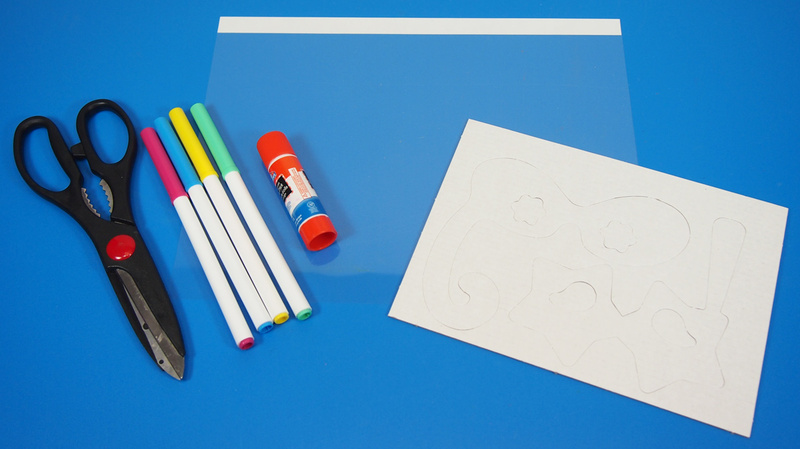 You can color in an entire sheet and cut out smaller strips for each of the students. Now we can get ready to add the lenses to the glasses! To do this, first flip your Masquerade Glasses upside-down! 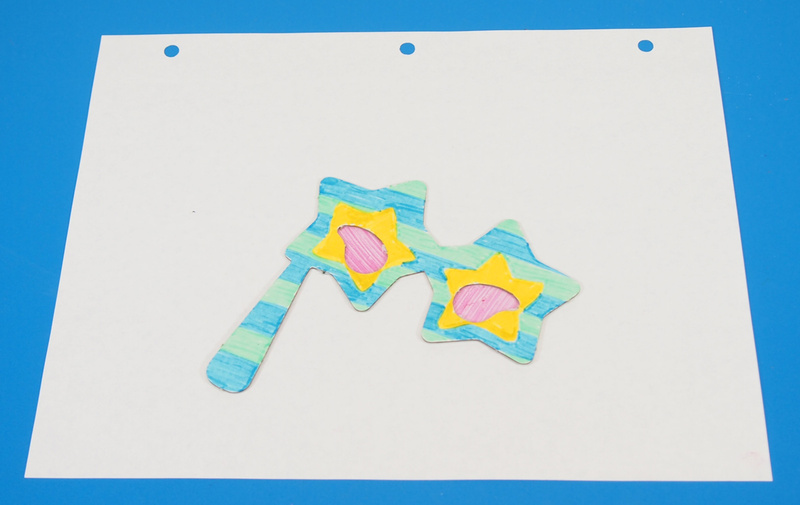 Place the strip of pink-colored transparency sheet on top so that it covers both of the eye holes. 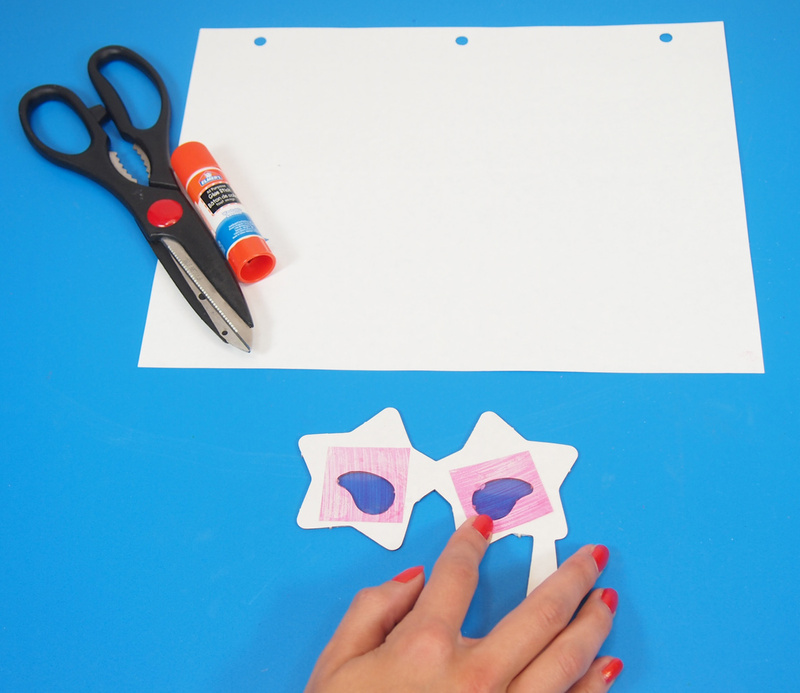 Cut the transparency sheet down to two squares that fit directly over the eye holes. 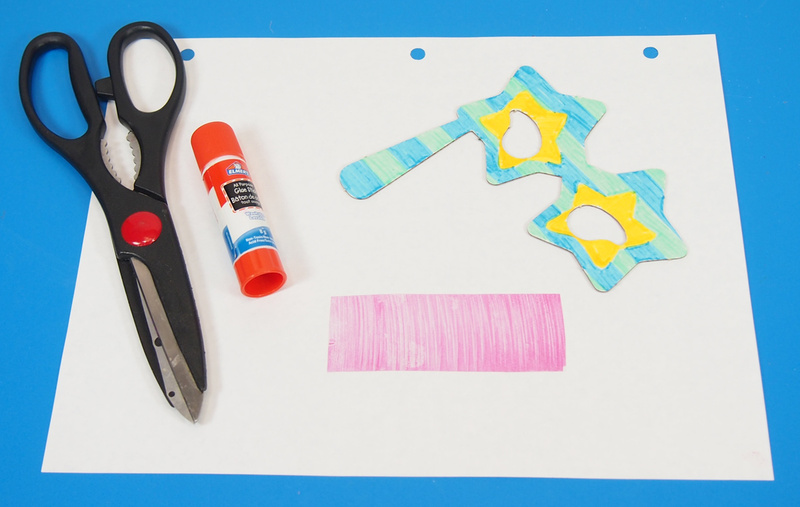 Spread some glue around the edges of the eye holes. 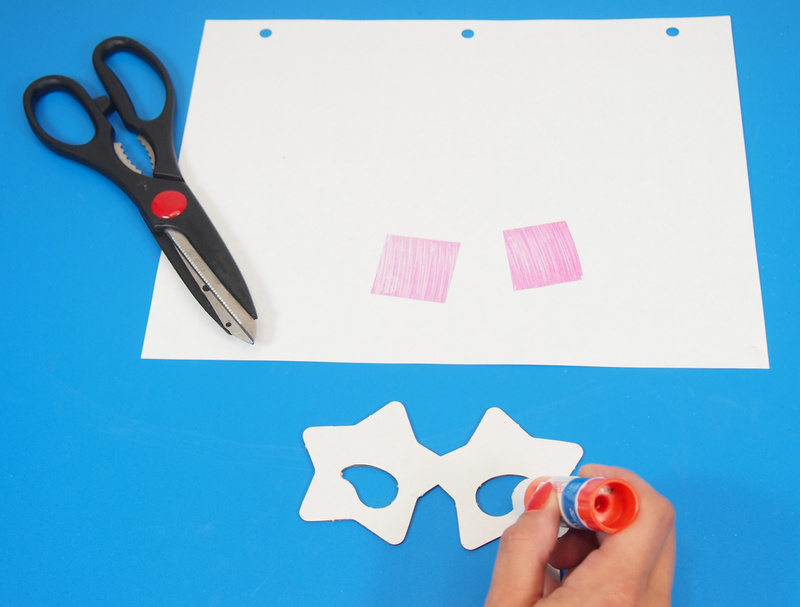 Press a square sheet on top of each eye hole. Flip over, and voila! Your pink-lensed glasses are ready! 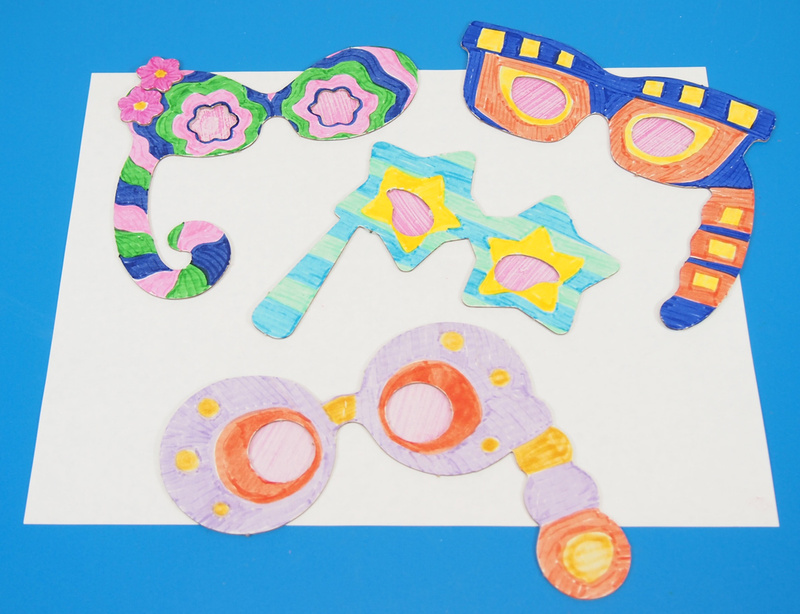 This entry was posted in Art, Crafts, Language Arts and tagged acting, drama class, drama masks, dramatic play, masquerade glasses, mylar lenses, pink markers, pink mylar glasses, pink sheets glasses, rose colored glasses by roylcoblog. Bookmark the permalink. 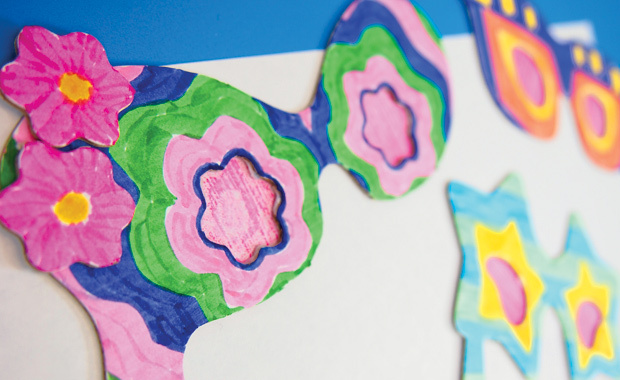 What a fun & simple craft! Thanks for linking up at the Thoughtful Spot Weekly Blog Hop! We hope you stop by again next week!